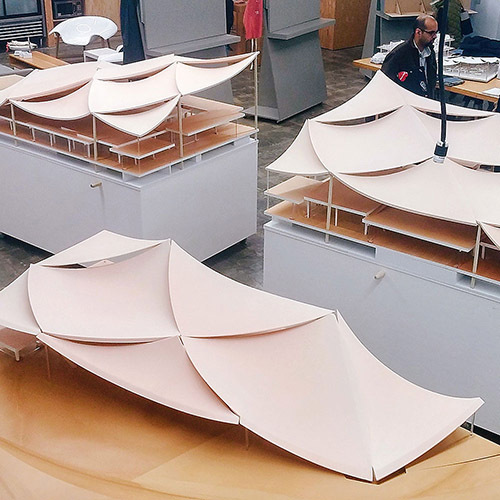 The client had a incredibly short two month deadline for us to produce this very large 16 foot by 16 foot design concept model. The model pushed the edge of digital manufacturing, from CNC milling over 80 canopy pieces, laser cutting glass and wood for all the interior walls and floors, to CNC milling solid wood to make the surrounding landscape. The physical model had to be accurate, look great and made as islands that pull apart so people could walk 'through' the building to see into the interior rooms and platforms.